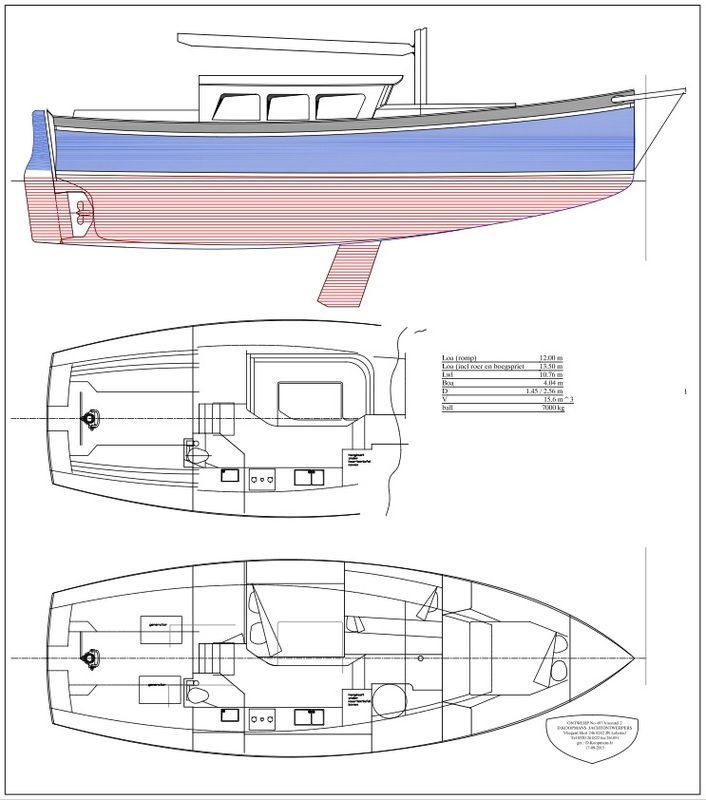 A clincer build mahogany yacht. Inspired on an old Buchanan design. Designed with the latest knowledge. Coachroof and cockpit are under discussion. 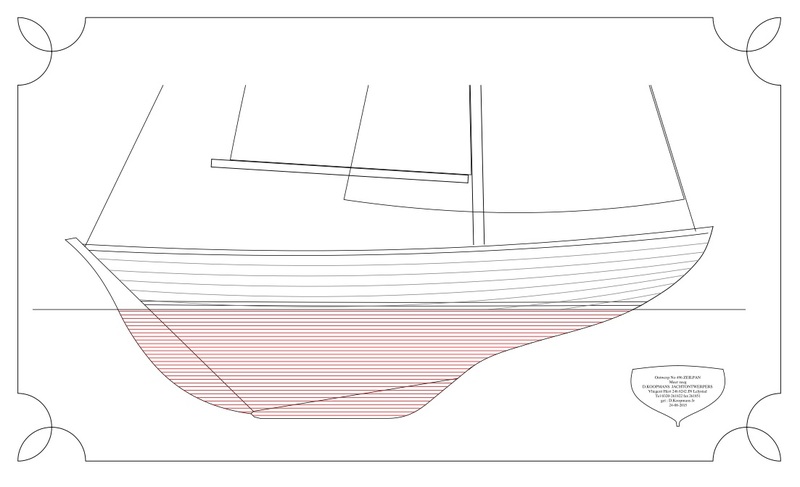 A first sketch for an aluminum centreboard with deckhouse. After Home of Jazz was sold to a new owner some changes were made. In the original design I proposed a sliding hatch. This has now been fitted resulting in a easier access and more air and light inside. The interior is also repainted and the equipment has been updated. During the Southampton Boatshow we attended the AZAB price giving. We shared a table with Henrik from Croix du Sud, winner of class 1., line honours and 2nd overall and Nico of sec Hayai who was 2nd on line honours, 2nd in class1 and winner of the Family Trophy. I collected our 2nd overall in class 3 and 2nd on the return leg of class 3.